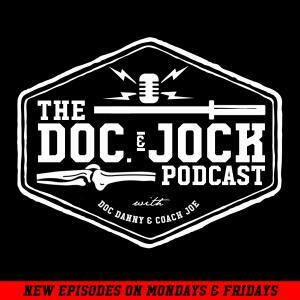 On Episode 229 of the Doc and Jock Podcast our producer, Johnny B, catches up with Coach Mike Burgener of CrossFit Weightlifting ton find out what he wishes he had known when he started coaching. If you aren't familiar with Coach Burgener he's a Level 5 Senior International Weightlifting coach, he's the founder of CrossFit Weightlifting, a former Marine, Notre Dame footballer, Olympic Coach & of course often regarded as the Godfather of American Weightlifting. He's been coaching the lifts for over 50 years and is the proud papa to 4 amazing kids. Here are the 6 things that you will learn from Coach Burgener on this Episode. We hope this helps you be a better coach.